Brian Beitler is EVP, Chief Marketing and Brand Development Officer for J. Jill and previously EVP and Chief Marketing Officer for Lane Bryant. He oversaw the company’s brand strategy, marketing, store/digital presentation and visual merchandising, CRM, social/mobile initiatives, PR, and loyalty/private label credit card program. He has over 20 years of experience leading marketing, ecommerce, and customer service functions across nationally renowned brands. 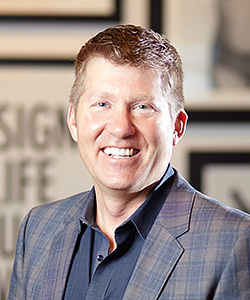 Prior to joining LB in 2014, Brian was EVP/CMO at David’s Bridal, SVP of Marketing at Kohl’s Department Stores, and has held senior management positions at Bath and Body Works, Toys R Us, and Mattel. He serves on the boards of several industry organizations, including the NRF’s Retail Council, Chairman of the Global Retail Marketing Association Executive Board. A graduate of the University of Utah with a Bachelor-degree in Marketing, Brian also holds an MBA from Brigham Young University. He resides in Quincy, MA with his family.